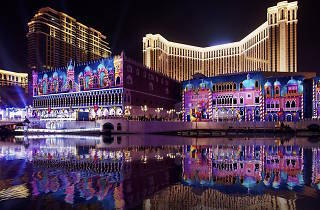 Light up your Christmas season at the Venetian Macao! The Venetian Macao is putting up wonderful decorations across its outdoor lagoon area, with a magnificent 48-foot Christmas tree, arches and pillars looking fabulously festive. 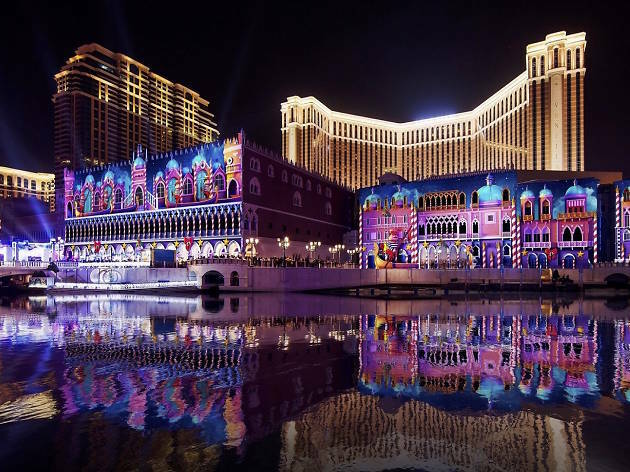 The highlight of the winter celebration this year is a dazzling new 3D light and sound spectacular which projects beautiful festive images on the 43,000-square-feet façade of the resort hotel. Featuring state of the art digital video mapping technology, the free admission show will run nightly, every 30 minutes from 6pm to 10:30pm.